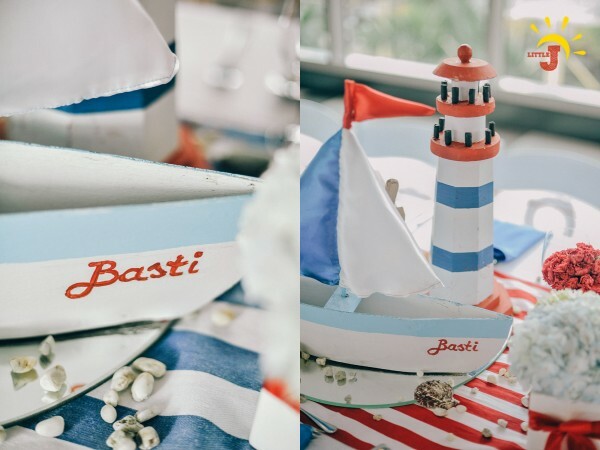 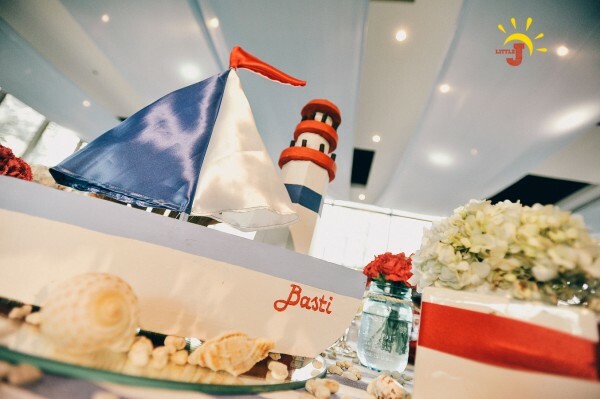 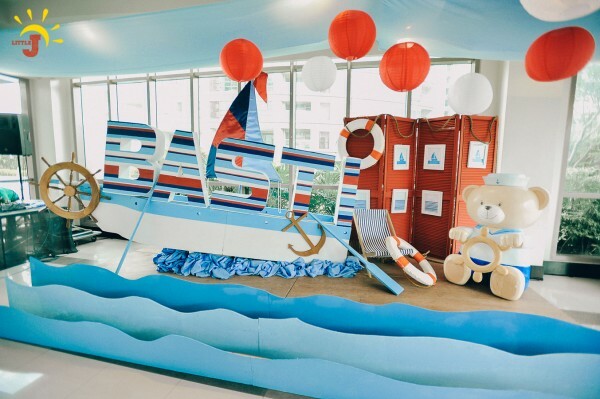 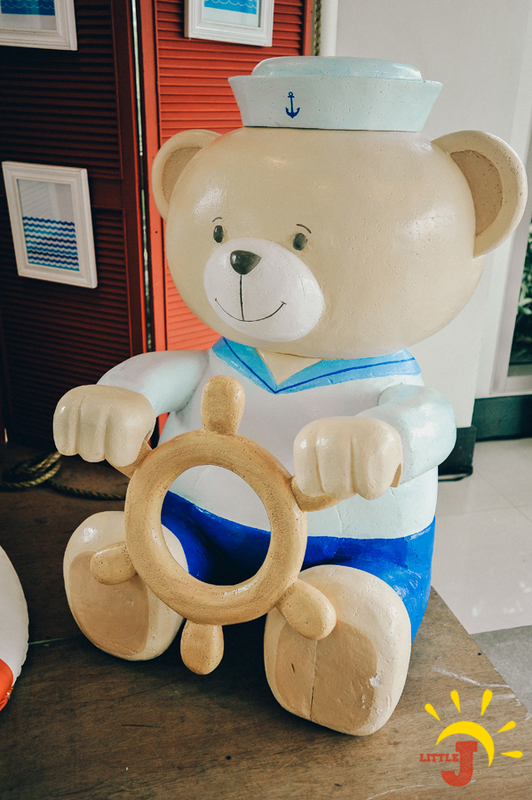 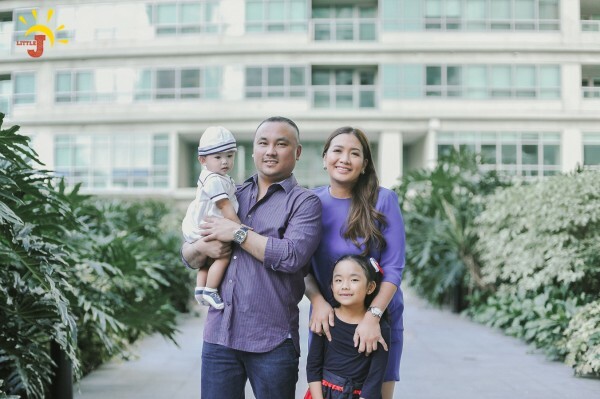 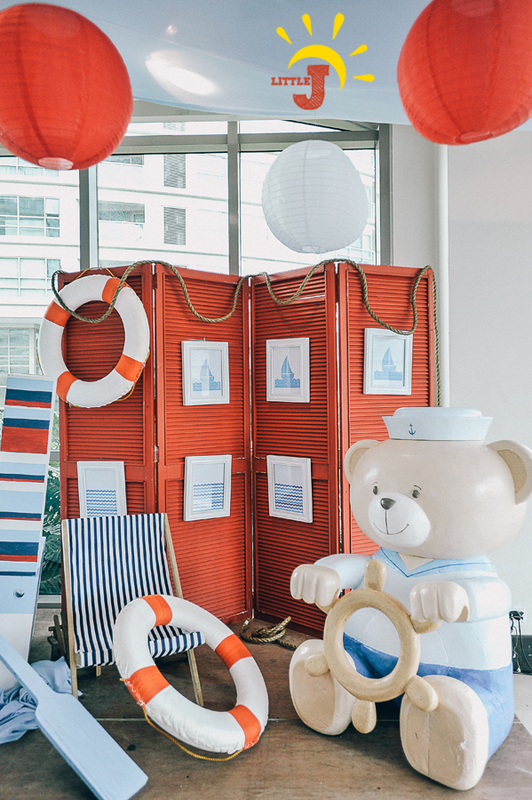 Let’s all sail away and enjoy this seriously stylish and elegant Nautical themed dedication of little sailor Basti photographed by the talented Joshua de Guzman for Little J Photography. 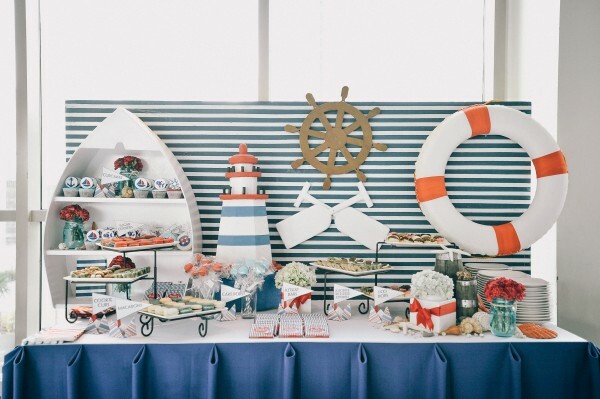 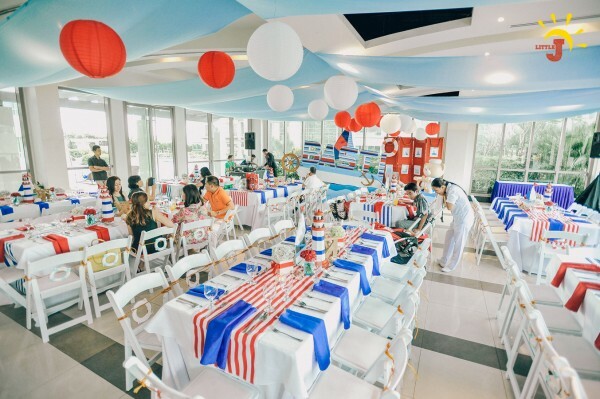 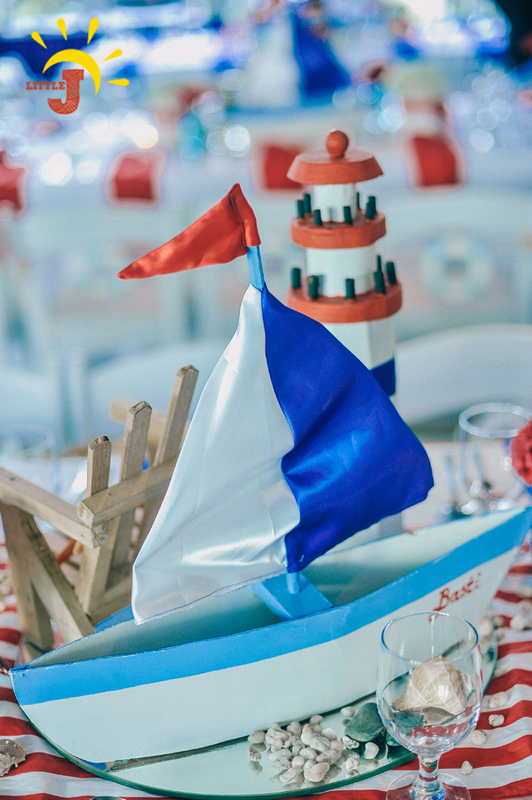 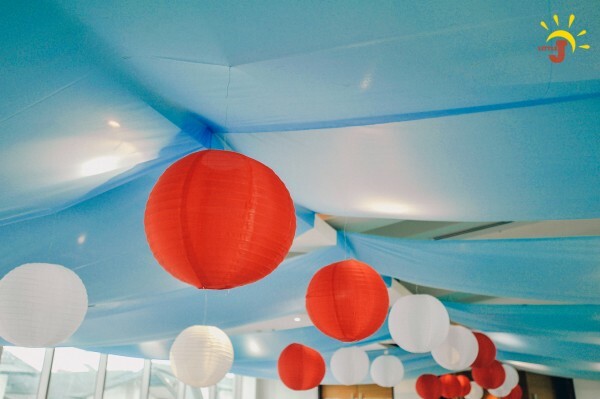 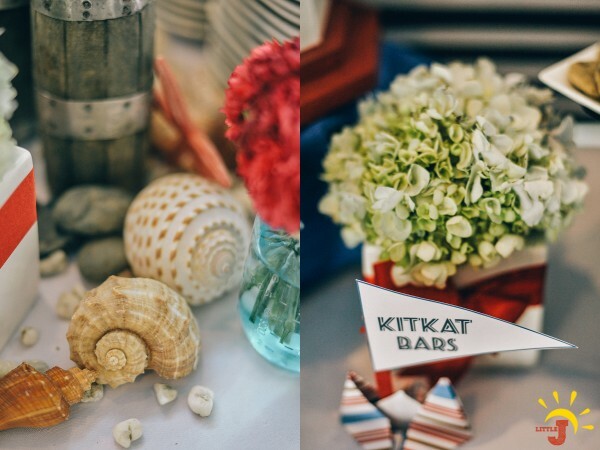 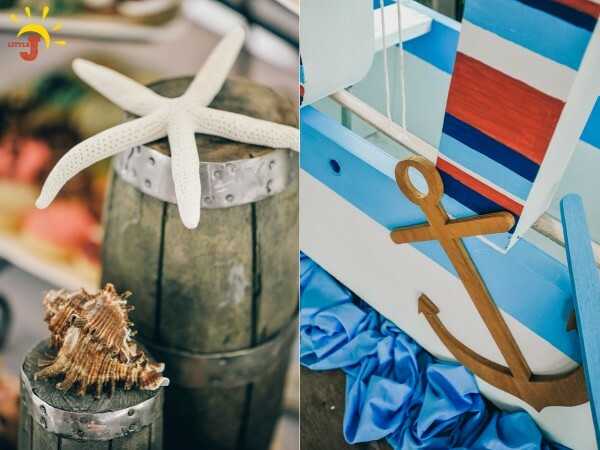 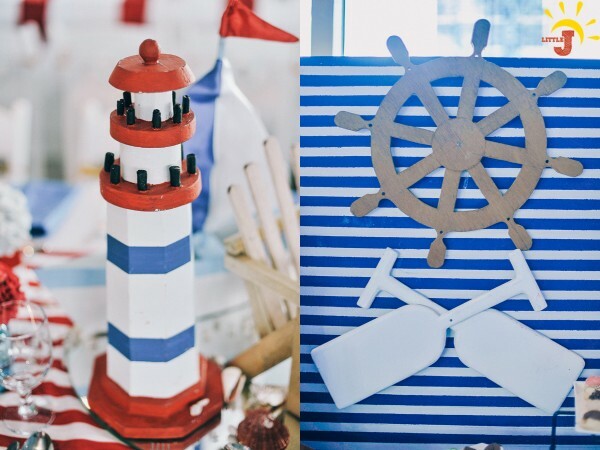 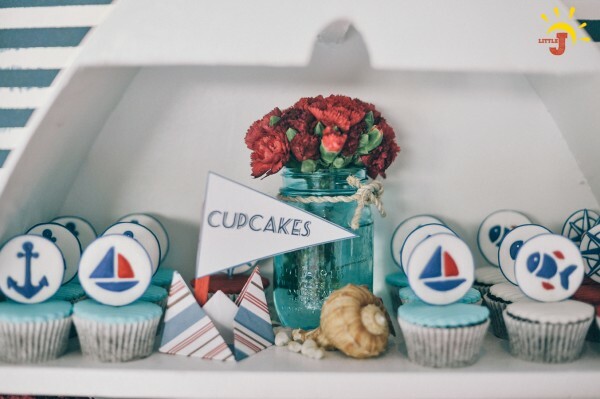 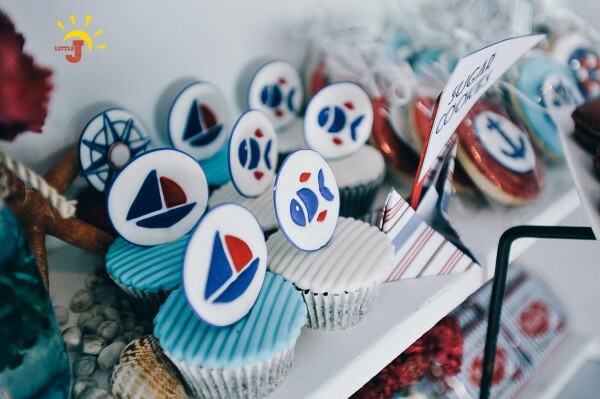 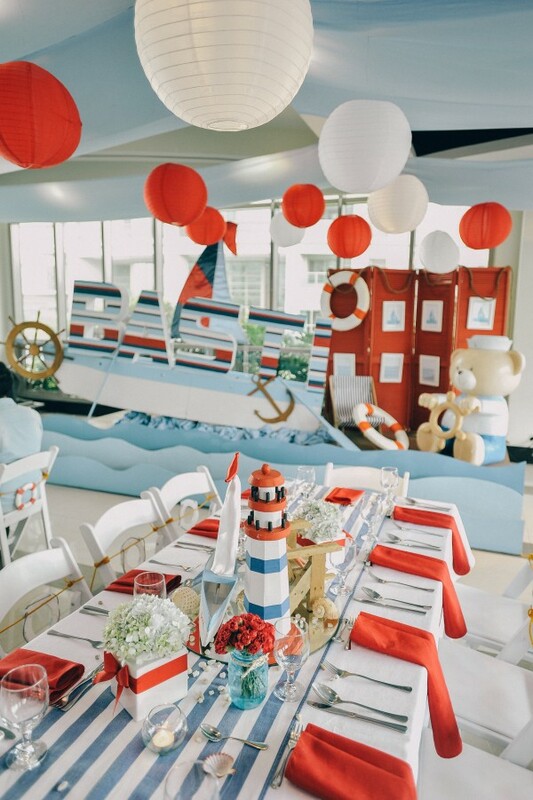 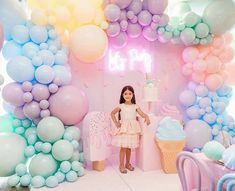 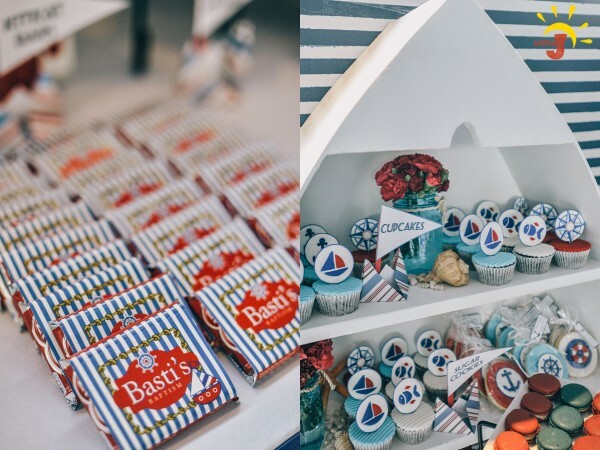 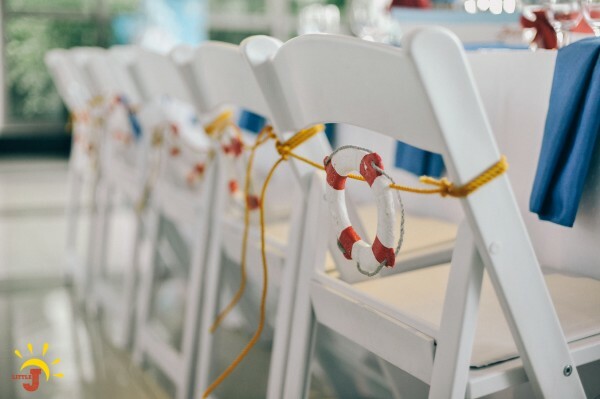 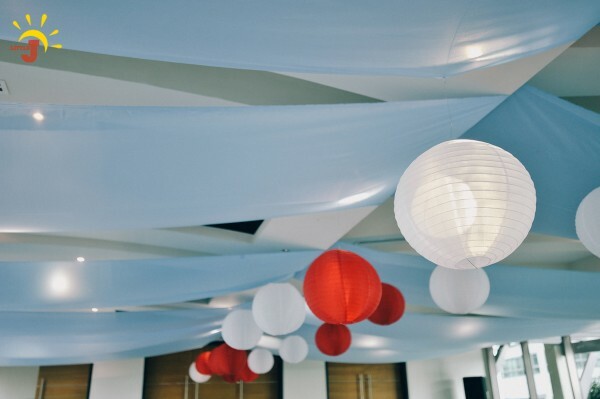 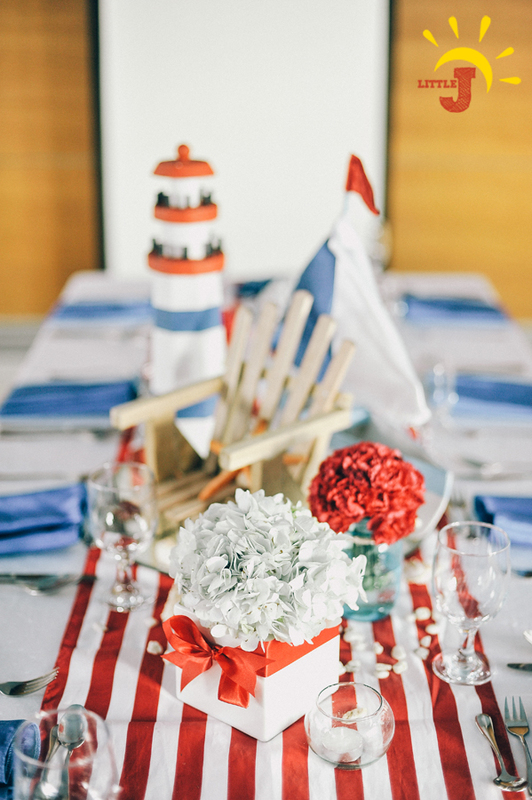 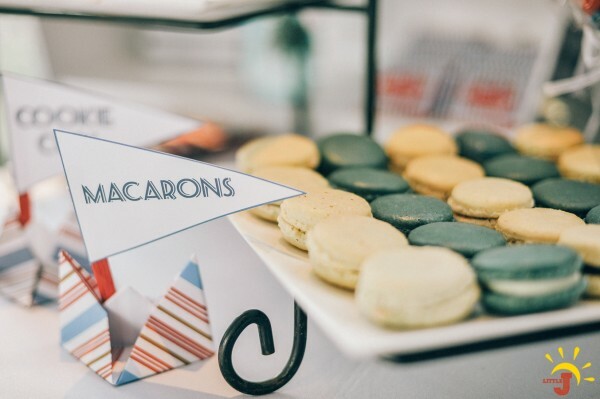 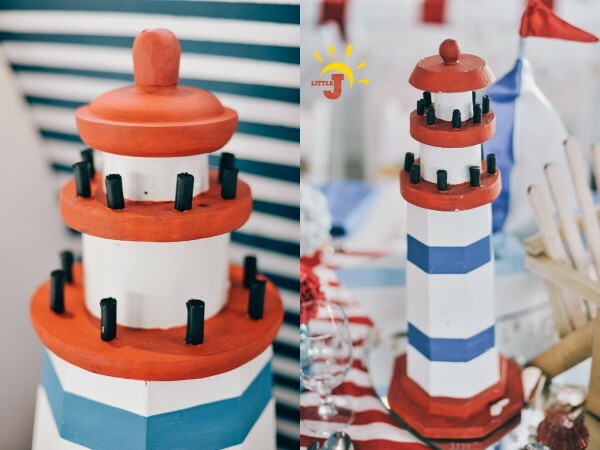 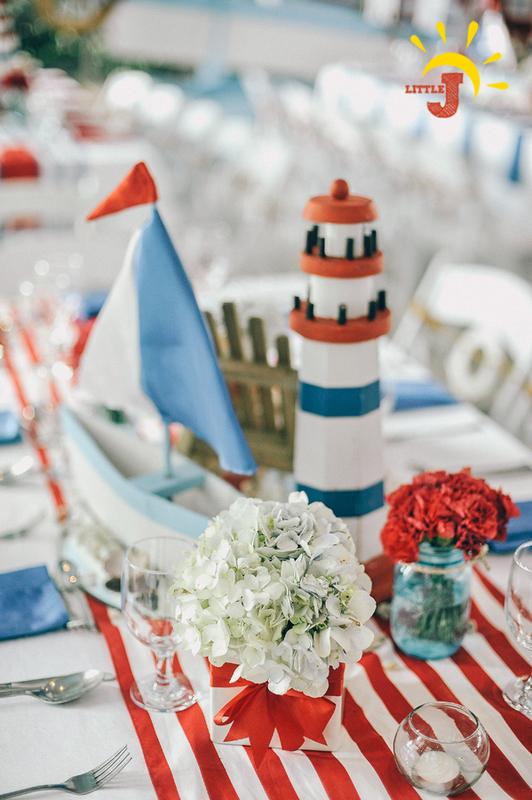 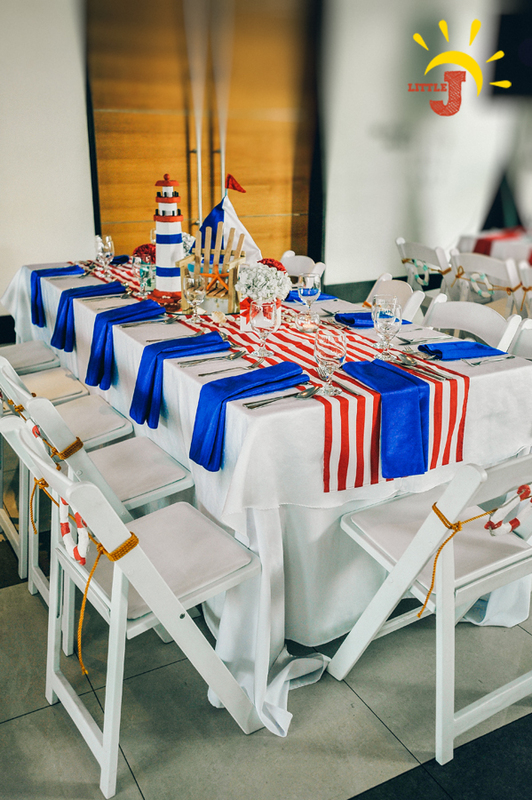 Styled by Passion Cooks Catering, this party had a traditional nautical color scheme of red, blue, and white with hues subdued just a bit giving it a classic, vintage feel. 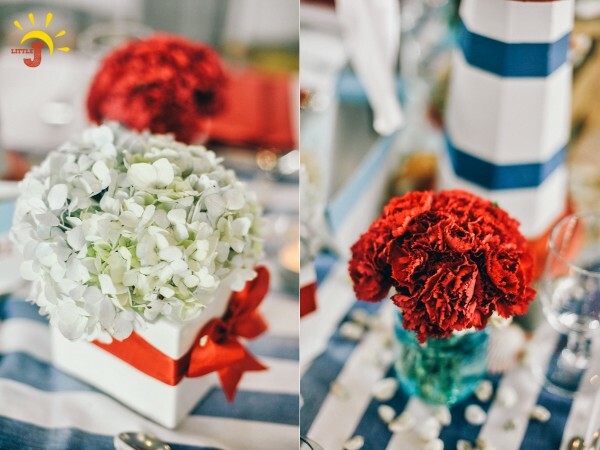 White chairs and white, crisp linens covering the tables gave the venue a clean and polished look while also making the reds and blues stand out. 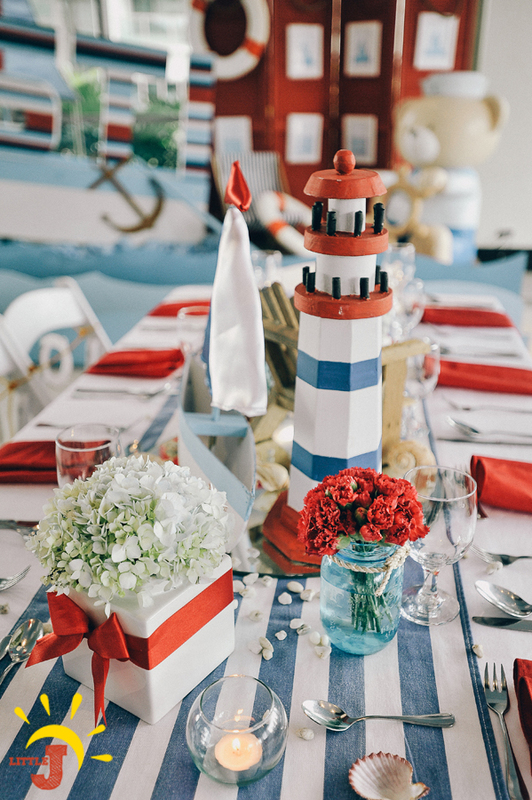 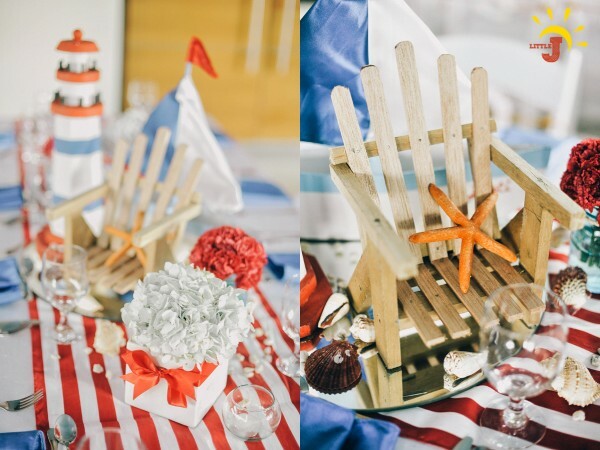 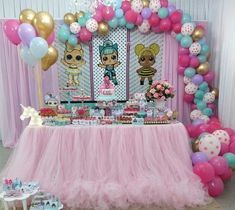 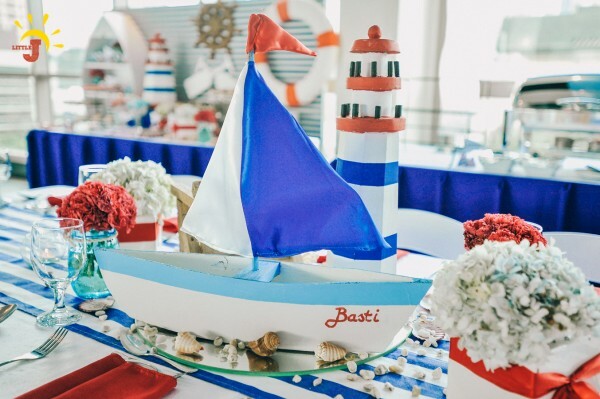 I especially loved how each table was lined with a striped red and white or blue and white table runner with a centerpiece consisting of a little sailboat, a lighthouse, red and white flowers, and beach elements such as sea shells, starfish, pebbles and a beach chair. 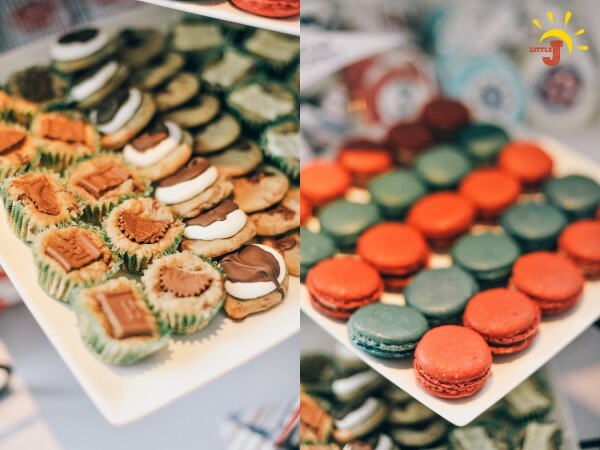 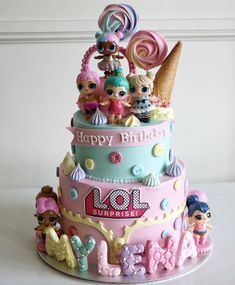 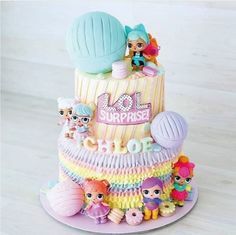 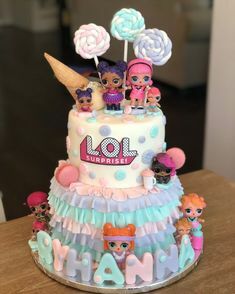 Bite sized cookies from Cookierriffic and macarons from The Cookie Jar. 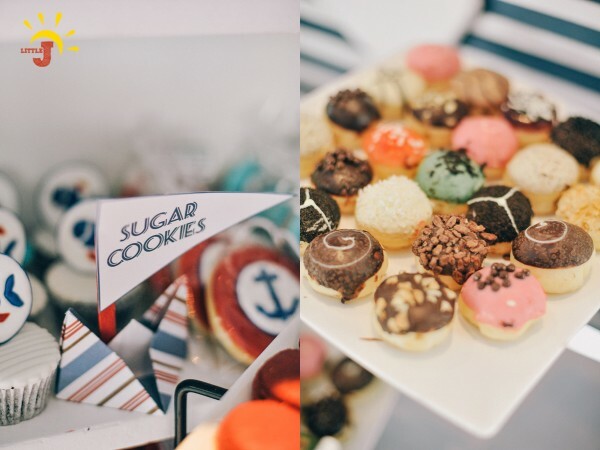 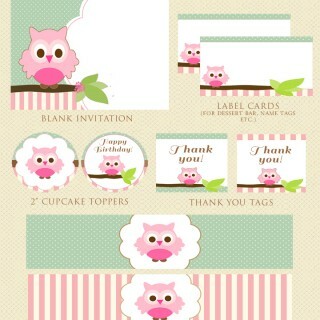 Cupcakes and sugar cookies from Swell Sweets Confections.